Better Health. Better Mind. Better Self. For those familiar with Ayurveda, one of the most surprising observations regarding modern nutritional science is that the relationship between taste and nutrition has been completely overlooked in Western investigations and conceptualizations. This is especially true when one considers that the sensation of taste is the primary and most obvious influence for every food that is eaten. The concept that taste may contain important clues to the biochemical actions of food is certainly an intriguing one, especially in light of the exquisite sensitivity of the taste receptors. Sweet taste can be perceived in a dilution of 1:200; salty, in a dilution of 1:400; sour, in a dilution of 1:130,000; and bitter, in a dilution of 1:2,000,000. According to the concepts of Ayurveda, this exquisite sensitivity of taste represents a communication mechanism to signal the physiology of the complex biochemical qualities of each food. The sense of taste performs the dual role of informing the individual about the external world and connecting that perception with information about their internal environment. It is known from research into the sense of taste that molecules act on taste cells in particular areas of the oral cavity to trigger signals which are then transmitted to the cortex via afferent nerves, the caudal hindbrain, and the thalamus. The hypothalamus and limbic system are also reached by taste afferents. The taste of food is known to trigger physiological as well as behavioral reactions. According to Ayurveda, when the taste buds first experience the different tastes and textural properties of food, an enormous amount of information is delivered throughout the body, triggering basic metabolic processes. These are held to reflect individual characteristics of the food as indicated by the taste. The influence on the physiology is then individualized according to the metabolic style determined by the individual’s Ayurvedic psychophysiological constitution and disturbances in the physiology. Ayurveda describes six tastes: sweet, sour, salty, pungent, bitter, and astringent. Of these, the two that are not specifically recognized in Western nutritional science are ‘pungent,’ which refers to hot, spicy foods, and ‘astringent,’ which refers to foods with a drying, absorbent property (Table 1). Ayurveda recommends that all six tastes be represented in each meal, although the proportions of the six tastes will vary according to the individual’s psychophysiological constitution and physiological disturbances. When all six tastes are experienced, the appetite will be satisfied by this balanced intake. If any of the tastes are left out, the person will likely continue to eat even though they are full, in an effort to satisfy the body’s hunger for the missing tastes. Inclusion of all six tastes is easily accomplished by use of Ayurvedic churnas, which are spice mixtures tailored to different constitutional types. Because of the gate-keeper role that the taste buds play, taste is considered central to the classification of foods. It should be noted however that the analysis of food in Ayurveda is more sophisticated and precise than the analysis of taste alone. In analyzing food, additional properties are also taken into consideration, including six major qualities of food that are identified as heavy, light, oily, dry, hot, and cold (Table 2). Dietary prescriptions in Ayurveda are tailored according to individual need, based on determination of the individual’s Ayurvedic psychophysiological constitution and disturbances in the physiology. Prana is the vital life force-the creative force of consciousness- and Pranayama is the process by which this life force is balanced and increased through various forms of breathing exercises. Breathing is a direct means of absorbing prana and the breathing process is directly connected to the brain and central nervous system. The manner in which one breathes determines the pranic vibrations that influence one’s entire being. Prana is itself made up of three components: Soma, Agni and Marut. Everything in existence is made up of these three energies in different proportions. Soma energy is cooling, nurturing and supports growth. Agni energy is for heat and metabolizing. Marut is the energy of space in action which circulates energy within our body. Pranayama procedures balance the flow of pranic energy, enhances its availability and energizes the system. It creates vitality and enhanced energy in the physiology and balances both sides of the brain along with emotional responses. These breathing exercises are beneficial for health and all aspects of life. Breathe in through both nostrils. Use your right thumb to close your right nostril and breathe out through your left nostril, slowly and completely. 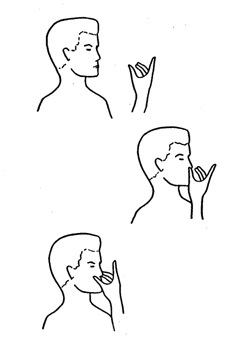 Breathe in slowly and completely through your left nostril, then close your left nostril with the ring and middle fingers of your right hand while opening your right nostril to breathe out. Breathe out slowly and completely through your right nostril. Breathe in again through your right nostril, then repeat steps 3 through 5 for five to ten minutes. Diet and digestion are considered to be of the utmost importance in Ayurveda. They constitute one of the three pillars of health. Not only is what you eat important but also when you eat, where you eat, whether you are paying full attention to what you eat, what your hunger level is when you eat, and what your mood is when you eat. 1. It is best to eat your main meal around noontime. This is when digestive powers are at their maximum. Eating a large meal late in the evening when digestion is weak can lead to all sorts of health problems, including obesity, lethargy, and poor sleep, to name a few. Eating a small breakfast ensures that the appetite will be maximum at noontime. A large breakfast is incompletely digested by noon when it is time to eat again. 2. Digestion is better when you refrain from eating another meal until the previous one has been completely digested. It takes about two hours for the stomach to empty but it may take 4 to 6 hours to completely digest a big meal. When you feel hungry again, this is a sign that the previous meal has been digested. Snacks between meals should be avoided by most individuals. If you have eaten a very large meal, you may want to skip the next meal. 3. It is best not to eat unless you are hungry. When you have a sharp appetite, it means that your physiology is ready for food and will make maximum use of it. If you eat without any desire for food, it may actually have a harmful effect on your body. If you are angry or upset, wait until those feelings have passed before eating. Eating should promote feelings of pleasure to ensure proper digestion. 4. When eating, do not indulge in other activities, such as reading the newspaper or a book, watching TV, having an intense conversation, etc. The process of eating requires your full attention in order for the food to be properly digested. 5. After eating, it is good to sit like a king or queen for 5-10 minutes to allow the digestive process to get a head start before plunging back into activity. This helps the digestive cycle be maximally effective. 6. Cold drinks should not be taken immediately before a meal or with a meal or immediately after a meal. Ayurveda considers cold drinks to be very harmful for digestion. They decrease the function of the digestive enzymes. This means that by drinking cold drinks, you actually decrease your body’s ability to digest your food. Drink room temperature or hot beverages with your meals. Hot water pacifies Vata dosha, the king of the doshas and the one most easily imbalanced. In summer, those with large amounts of Pitta dosha can have cold beverages, but not around mealtimes. Once you put this guideline into practice for a few weeks, you will notice the positive effect on your digestion and you’ll wonder how you ever tolerated cold drinks at mealtimes. 7. It is good to take a walk after meals. It helps the digestive process function properly and settles the mind, which aids digestion because the mind and body are connected. 8. A simple cure of many digestive ills is to avoid overeating. Ayurveda suggests eating to 2/3 to 3/4 of capacity. It is best not to leave the table feeling ‘stuffed.’ The digestive system can become overwhelmed. When we exceed our digestive capacity, the production of Ama can be the result. Ama refers to products of incomplete digestion that result in the build-up of toxins in the system. This material can circulate and cause damage by sticking to vital channels in the body and plugging them up. Ama is sticky. The white sticky material you scrape off your tongue in the morning is one type of Ama. It is a visible guide to how well your digestive system is functioning. When you eat a heavy meal at night your tongue will likely be coated with whitish sticky material in the morning. When you eat in moderation and get regular exercise there will likely be a visible reduction in the amount of Ama on your tongue. Eating in moderation is recommended for better health and longevity. Modern scientific studies have demonstrated that animals which are slightly underfed outlive those that have food in front of them all the time. 9. It is better to eat in settled circumstances. It is best not to eat while standing. Sit to enjoy your food. This will allow the mind to focus on eating. Eating while driving is not recommended. It divides the mind. Eating is one of the most important things we do each day and it requires our full attention. 10. The value of well cooked food. Ayurveda recognizes that food contains vital energy, called Prana. Freshly cooked and served food is high in Prana. Frozen foods, canned foods, and foods that have been refrigerated for a long time are completely devoid of Prana. Raw foods contain this energy but are very difficult to digest and thus are of less benefit than well cooked food. Ayurveda not only considers the nutritive value of the food but also its bioavailability. Prana does not last after the food has been cooked. According to Ayurveda, food should be consumed within five hours of cooking. Refrigeration may extend this for some time. It is best to avoid leftover foods, canned and processed foods, snack foods, etc. This also applies to juices. Canned or bottled juices are devoid of Prana and are thought to produce Ama, which is not good for health. Fresh juices are better, according to Ayurveda. 11. Exercise or walk for 30 minutes every day. Exercise tones the body and sharpens the digestive powers. However, it is best not to exercise right before meals or if you are very hungry. Also avoid exercising right after meals. For most of us, finding the time and energy to make a home cooked meal each day can be challenging. That is why today we present quick, easy to make, healthy recipes for everyone! These foods are not only easy to make but they are delicious and nutritious! They will easily become part of your weekly meal planning. 1. Wash the rice in several changes of cold water. 2. Put the rice in a saucepan and add 1 ½ times as much water as you have rice. 3. Let the rice soak for 30 minutes. 4. Bring to a boil, then stir, cover the pan, and reduce to a simmer. 5. Simmer gently for 10 minutes. 6. Remove the pan from the heat and let it sit covered for 5 minutes. 7. Fluff the rice with a fork and serve. Sort through them a bit before you cook them. You’ll probably find an occasional small stone to remove. Rinse them several times before you cook them. For some beans, you should soak them for a while first to soften them up before cooking. Cook them well. When they’re well cooked, the digestion can get right down to its task of transforming them into beneficial chemicals. Contrary to popular practice in the West, don’t add salt before the beans are cooked. Acidic ingredients like tomatoes or lemon juice shouldn’t go in either until you’ve cooked the beans. Then add these things and cook a few more minutes. What you can add are spices like cumin, black pepper, and ginger (which have a lot of health-promoting effects). To store your dry beans and dals, keep them in dry, airtight containers at normal room temperature. Beans keep, but try to use them within six months or so. As they get older, they lose moisture and take longer to soak and cook. 1. Sort through the dal and remove any small stones, then rinse the dal in cool water several times. 7. Add the lemon juice and fresh cilantro. Stir and serve. 2. Cook the dal with the turmeric, coriander, cumin, and ginger. You should have approx. 2 ½ cups of thin cooked dal when done. 3. Add salt to taste and cook a few more minutes. 4. Wash the spinach thoroughly, then lightly steam it for 2-3 minutes. 5. Put the dal and spinach in a blender, and blend for only 2-3 seconds, just enough to distribute the spinach throughout the dal without turning it into liquid. 6. Pour into serving bowls. Sprinkle with fresh lemon juice and a pinch of black salt. Serve it with rice or a chapati (a type of flat bread). 1. Heat the ghee in a frying pan. 2. Sauté the Immunity Mix in the ghee very briefly, about 40 seconds, on low heat. 3. Add the Swiss chard and stir it into the spices. 4. Add about 2 tablespoons of water and cover the pan. Cook for about 10 minutes, until the Swiss chard is tender. 5. Add salt and lemon juice. Cook for a few more minutes, then serve. 3. Turn off the heat and let the substance sit for a few moments, then bring it back to boiling. 5. When most of the moisture has drained, gather the top of the cloth, tie it together, and hang it somewhere to drip. Let all the water drip through (which usually takes about an hour). Yield: One cup of panir. You can cook it in with your veggies for a delicious and nutritious dish. 1. Soak everything together for about an hour, until it’s soft. 2. Blend the mixture into a smooth paste. 3. Add this nutty paste to your vegetables or other foods as you cook them. Allow a tablespoon of paste per serving. This mixture will help you sleep, and you’ll wake up ready to attack the day with vigor. Blend all ingredients together. Include cardamon, sugar, and rosewater, to taste. Drink after lunch. Blend all ingredients together. Include ginger, cumin, salt, and pepper, to taste. Drink after lunch. Blend everything together for one minute. Drink after lunch to ward off gas and bloating. This modified chapter was taken with permission from: The Answer to Cancer, by Sharma and Mishra, with Meade, SelectBooks, New York, 2002. OK, it’s time to lay to rest a notion—namely that healthy meals taste bad. Sure, all those prepackaged diet meals taste bad, but they aren’t really that healthy. Raw mustard greens aren’t going to float anybody’s boat either. Celery shake? Yuk. In fact, the healthiest meals you can make also taste the best. If they don’t taste really great, they aren’t healthy. Really. Here’s how that works. You see, if something tastes great, you salivate over it prodigiously. Your other gastric juices get pumping away spontaneously.—Stomach acid. Just the right amount of bile. Everything gets working. Then you digest better, produce more nutrients, and make fewer toxins. You should be happy while you’re eating. That’s not just a moral stricture. If you’re happy, you have positive neuropeptides floating around in your body. Positive neuropeptides help you digest better. Again, you create more positive chemicals in your body and fewer toxins. Happiness is a digestive aid. On the other hand, food that tastes yucky is bad for digestion. Stuff that “turns your stomach” just doesn’t get digested well, and that wreaks havoc throughout your system. For starters, it sits in the colon and tries to attach bad stuff to the linings there. It sends free radicals catapulting through the system looking for healthy molecules to attack. It’s not good. It makes you sick in the long run, and sometimes in the short run, too. That’s the meal. Eat it every day for lunch, and you’ll do wonders for your health. You can vary lots of the participants, so it doesn’t become boring. You can have all kinds of whole grains, various veggies, numerous nuts, and so on. And, with a few spices and the right preparation, the combination is a taste delight (way, way more sumptuous than, say, a Big Mac from McDonald’s). To make sure your digestion is wide awake and ready to roll, take a thin slice of fresh ginger root and sprinkle it with a little salt. Eat this right before you start your meal to put your digestion on high alert. Whole grains are healthy, but most people aren’t even too sure what they are. It’s hard to tell the whole ones from the partial ones. Whole grains keep their fiber, their vitamins, and their minerals like zinc and potassium, whereas processed grains lose some. The complete grains have antioxidants, lignans, phenolic acids, and other phytochemicals. They are rich in healthy things, whereas partial grains come along with much of those things stripped out. The fiber enhances digestion, and other phytochemicals in the whole grain aid in disease prevention. Often overlooked in American cookery, to be served with franks on a picnic, beans are a potent nutritional player in the diet. First, they have protein. You don’t have to eat meat to get protein. You help your cause a lot if you eat beans, dals, and lentils. Second, this family of foods (which we simplify to just “beans”) also has fiber, like grains. So, in having beans, you’re doubling up your beneficial fiber. Third, beans have complex carbohydrates and vitamins. You can use them all kinds of ways: appetizers, salads, soups, main dishes, sides, and even dessert. You’ve had rice pudding before, right? Well, beans can be used in desserts as well. If you want to choose a favorite, the Vedic medical tradition gives a nod to mung beans, the split ones with the skins removed (which are referred to as moong dal in Indian groceries). They’re easier to digest than most of the other beans and dals. You can eat them every day without any bad consequences. The dark green leafy vegetables, half-scorned in Western cookery as Popeye’s strength builder, hold a high position as a health-promoter. They have beta-carotene, other carotenoids, lutein (an unyielding antioxidant), and—above all—DNA-enriching folate. They’re rich in minerals like calcium and Vitamin A.
Vedic medicine has known about them forever and has held them in high esteem. Know what they have that Western medicine is just beginning to measure? Prana (a Vedic term), which is pure life energy. Also, according to the Vedic approaches, green leafies have juices in them that keep your body nice and fluid.—They keep open subtle channels in the body where nutrients have to flow if they’re going to keep cells strong. Different greens have different cooking requirements, of course. Some (spinach) are pretty tender and cook fast. Others (kale) take longer to get tender. But do cook them. Otherwise, your stomach may complain. Know what’s good about chapatis (flat breads)? You can use them instead of silverware. In some places in the West, people frown on such behavior. It’s standard in the East, where touching the food is considered an integral part of the dining experience. Chapatis also taste good and contribute to the delight of the meal. You can buy them in the store or, if you have time, make them yourself. Enjoyment is an essential part of a healthy, delightful meal. Remember, you’re trying to keep the celebration of life going on in your body at even its most quiet levels (well, all right, especially at its most quiet levels). To do that, you should keep pleasing your tastes in all kinds of ways. Variety is good. And spice is the variety of life. For instance, a nicely spiced chutney is almost a requirement for your healthy meal. Panir, if you aren’t familiar with it yet, is great. It’s very popular with those who do know it, because it’s light and easy to digest, yet bursting with the nutritional value of cheese. (Some cheeses you buy at the grocery store may be aged and can produce free radicals in the body, which are harmful to the physiology. They are also very heavy and can clog up your system.) You might find panir at an Indian grocery, or you can make it yourself. Don’t forget to toss in a few nuts with your meal. Nuts keep falling in and out of favor with the diet crowd. “Oh, they have protein. That’s good. Oh, they have too much fat. That’s bad.” In our crowd, they’re good. Besides adding protein, know what they can do? Feed your brain, and the brain is the main switchboard for everything going on in your body. Walnuts have the healthy Omega-3 fats. It’s best to soak your walnuts overnight before eating them, which removes a certain sharpness from them that makes them harder to digest. Other nutritious nuts are sesame seeds (toasted), sunflower seeds, and almonds (blanched). Sweet, juicy fruits can be eaten, but not immediately after meals. It’s best to eat fresh or cooked fruits as a healthy snack in between your meals. Have pears, apples, oranges, peaches, cherries, blueberries, mangoes, bananas. Whatever is in season is best. Dried fruits are great, too—apricots, dates, figs, raisins. An ideal dried fruit is an organic Medjool date. (If you’ve never had an organic Medjool date, you’ve never really had a date.) Their sumptuous richness can change your mind forever in favor of that fruit. You won’t be able to eat just one. Two to four should meet your needs nicely. We don’t like bringing this up in mixed company, but we feel that we have to . . . in the interest of preventing a lot of future indigestion in our readership. Look, some foods just can’t get along with one another. You can’t let them in the stomach at the same time. That’s just the way it is. They curdle, annoy, stifle, or otherwise rile the other food. That might be all right if it were happening in a test tube somewhere, but you don’t want it going on in your stomach. Here is a partial list that has been developed, to help avoid the most common mistakes in food-combining found in the Western countries. Clearly, there are a lot more foods that don’t get along than the few we have here. Here’s what to do.—Leave at least an hour between eating foods that are incompatible with each other. That’s the basic guideline. You don’t have to strain to do these things, just quietly have the intention. You don’t have to stop altogether right away with your orange juice milkshakes. (Well, maybe you should.) But cut the orange juice in the shake a little bit each day until, voilà, there is none there. Sour foods, e.g. sour fruits, yogurt, etc. Fermented foods of any kind, e.g. apple cider, soy sauce, etc. Fermented herbal supplements, e.g. tinctures, etc. Citrus fruits – oranges, grapefruit, lemons, limes, etc. Green leafy vegetables – spinach, kale, broccoli, arugula, etc. Meat of any kind – beef, chicken, pork, turkey, fish, etc. Foods containing salt, e.g. most processed foods, fish, sea vegetables, crackers, peanuts, etc. We know this list sounds all-inclusive at first, as in, “Fine, then when can I drink my milk?” Most people who have been following Vedic guidelines for a while don’t drink milk along with their meals. They drink milk. They have it before bedtime. Milk is good, but you have to watch the company that it keeps. While we’re on the subject, milk is much easier to digest if you boil it first. Organic milk is recommended. The cows that produce this milk were not given bovine growth hormone, and the food they ate didn’t contain pesticides, herbicides, or antibiotics. 2. Use raw (uncooked) honey only. Do not heat honey or cook with honey. According to Ayurveda, cooked honey clogs the system and becomes toxic. Most honey you buy in the store has been heated during processing, so check the label closely to make sure you are buying “raw” honey. 3. Do not mix yogurt with sour fruits or melons or mangoes. 4. Don’t eat hot and ice-cold foods together (like the favorite—coffee and ice cream). Cold foods or drinks will suppress your digestion, whereas hot foods or drinks will activate it. This creates confusion in the system, disturbs the digestion, and results in formation of Ama (build-up of toxins in the physiology). That’s it. Deciding not to mix foods can be a bit troublesome at first, like sorting through the stack of shoes in the closet and making some sense out of them. Once those shoes are sorted, you probably find it easier to make quick switches from business shoes to tennis shoes to cross trainers. Your stomach, similarly, likes to be able to know right away which foods to take on at which times. Food. Everybody loves it. Nobody can get enough of it. Satisfy yourself one minute, and the next minute you’re ready for a fresh plateful of the stuff. Looking for a health-promoting ally? You’ll find one of the best in dear, adorable food. Grains, dals, fruits, and veggies can turn your body into a veritable fortress against unhealthy invaders. Following a few little precautions will help, such as using a little timing for when you drink your glass of milk. Use a little wisdom in how you eat, and your stomach will do its work better. Short term, a happier stomach means a happier you. Long term, it means a you that is much more likely to prevent the ravages of diseases. What with walking a half hour a day, doing some of the yoga positions, and doing a little Vedic breathing, you enrich and purify your body without exerting a lot of effort. Another subtle form of exercise with high-impact benefits is massage. You knead away at knots of stress in your body and feel good doing it. There is a Vedic form of massage, known as abhyanga, that maximizes the benefits of massage—namely, awakening the intelligence of the body and eliminating impurities. And you can perform it on yourself. We’ll explain a bit more about it in a moment, but first we’d like to address a certain widespread skepticism about whether a little massage is going to do anything at all. Well, think about it a little bit. Massage involves, first of all, the skin. The skin has pretty much gotten a bum rap until recently in most medical circles. The skin, we all used to think, was just a coating to hold in the body—as if it were armor plating or a plastic bag or something. The skin is actually an organ, just like the brain, the heart, the spleen, the liver, or, you know, lots of organs that have gotten a lot more favorable ink than the skin until recently. The skin is intelligent. It has all kinds of nerves. One square inch of skin has 78 yards of nerves. Those nerves wouldn’t be there unless they were transmitting information, and sending and receiving information involves intelligence. The skin also has pores—20,000 of them in that same square inch of skin that has all the nerves. Pores are for bringing substances into the body (like enriching, rejuvenating oil) and for removing impurities. There are also sweat glands (650 of them in that inch, for coating the skin with water to cool it down), and there are oil glands (one oil gland per hair follicle, with our square inch having 65 hair follicles, on average). Hardly just a coating or cover, the skin is a beehive of activity to benefit the rest of the body. Skin is one element in massage. The second is oil. You can use a number of different oils in your massage. The massage we recommend for maximum purification utilizes sesame oil (also coconut oil and olive oil on occasion, but today we’ll stick with sesame oil). Sesame oil has a number of health-promoting qualities. First of all, it soaks through the skin really well, so it can work inside the body and not just on the skin. Sesame oil also has antibacterial properties. Linoleic acid makes up 40% of the sesame oil, and is anti-inflammatory, which is good for keeping your joints working smoothly and helping avert arthritis. The oil as a whole is good for your joints. It lubricates them, which is something that joints really appreciate. Studies have found that sesame oil actually has anti-cancer effects (particularly anti-skin cancer, which makes sense, and also anti-colon cancer effects. The second one doesn’t make as much sense right off the bat, but the oil seeps in to reach beyond the surface of the body). Japanese researchers have found that sesame oil contains antioxidants, which, of course, are front line warriors in the fight against cancer. If you are allergic to or have trouble with standard sesame oil, you can use other oils. Ayurveda recommends different oils based on the individual’s constitution. How does massaging the skin with potent oil purify the body? You can see right off that the massage would be good for the skin, and it does make your skin soft and lustrous. For purifying the body, just like exercise, oil massage stimulates your body’s tissues. When they get active, they refresh themselves. There are channels in the body. Ayurveda calls them shrotas, but Western medicine has nice, familiar names for them—arteries, veins, capillaries, lymphatic channels. The massage loosens impurities, and they then flow out through the channels and the pores conveniently located in the skin. A warm bath after your oil massage is a good way to open the pores and channels even more and really get the benefit of purification. A warm shower is a second best option. If you’re going to go sloshing oil all over your body, maybe you’d like to have some method to your madness. 1. First warm up the oil a little bit. (Warm oil feels better and penetrates better.) Simply place the squeeze bottle in a sink filled with hot tap water for a few minutes. Don’t use a microwave. It’s fast, but it confuses the molecular structure of the oil. 4. Massage your neck, front and back, and also the upper part of your back. 7. Rub your lower back and your spine. (Keep getting more oil at each stop.) Here you can be as vigorous as you want. Do your hips, too. 8. Massage your legs the same way you did your arms—straight on the long parts, circular on the joints. 9. Massage your feet. Spend as much time here as you like. As we mentioned, the feet, like the head, connect with all the rest of the body. Close your eyes and enjoy. 10. Keep the oil on your body for 20 minutes, then if you want you can wash it off. For the bathtub or shower, it’s a good idea to use some type of grease-cutting detergent (for example, Dawn dishwashing detergent) and let the hot water run a little to flush the oil down the drain. Oil massage is great in all kinds of ways. It’s balancing for the physiology, great for the skin, relaxing, fun, and invigorating. Make the oil massage a regular part of your daily routine. At first it might seem messy and annoying, fun as it is. After a few days, though, it can become as welcome a part of your routine as your stewed apple in the morning and your warm milk at night. This modified material was taken with permission from: The Answer to Cancer, by Sharma and Mishra, with Meade, SelectBooks, New York, 2002. Ayurveda’s top candidate as the world’s best anti-cancer spice would be nothing other than the commonplace turmeric. Yes, that turmeric, the one that for years seemed like just a little food coloring. In the recent past, if you had it at all, it sat on the shelf in the same bottle for month after month and year after year until you moved away, cleaned house, and threw it out. Little, orange, tasteless, neglected turmeric. It’s a serious cancer fighter. Neglected in the West, turmeric has been a pillar of the diet in India for thousands of years. There in the East the bottle does not sit neglected, and turmeric is hardly just food coloring. For at least 5,000 years—every day in every Indian kitchen, while cooking their lentils and vegetables with turmeric—Indians have been using this anticancer wonder spice. Turmeric is good for your digestion, which means that it will help to dissolve those undesirable fats in your body instead of allowing them to accumulate. It gobbles up free radicals, which protects your blood vessels. It’s antibacterial, and it’s always good for the heart to cut down on the infection-causing bacteria in the system. And it is a supremo antioxidant. Would you have thought that it’s good for your heart, to eat turmeric regularly as a cancer-preventative? Well, it is. “Wow,” you might think, “this flat-tasting, slightly bitter, yellow-orange powder can do all that? Who would have guessed it? I’ll take a spoonful with every meal.” The stuff is cheap and available. You might be tempted to load it into a water bottle and glug it all day long. And, as a natural food, it seems perfectly harmless. Why not just eat as much as you want? Well, these initial reactions deserve a bit more attention, along with one other common perception of such a potent spice.—“If this stuff does all this, why don’t I just extract the potent part, and have a genuine drug for myself?” First, let’s start with the right way to use turmeric. Then we’ll lay to rest some of the popular misconceptions surrounding it. First of all, there are right ways and wrong ways to ingest your turmeric. The right way (you won’t find this advice hard to swallow) is to cook with it. According to the ancient Ayurvedic tradition, the best way to use this potent spice is also the way that it tastes best and is easiest to digest. Eating deliciously cooked turmeric doesn’t just get your own gastric juices flowing (which helps you assimilate the spice and get the most benefit from it). The cooking itself also brings out the best in the substance. When you cook turmeric with food, the turmeric doesn’t lose any of its innate, plant intelligence. Instead, the intelligence of the turmeric enhances the intelligence of the food, and vice versa. Food and turmeric play a very pleasant duet together, to the lasting benefit of your body. Turmeric goes with every kind of taste identified by Ayurveda. This substance is versatile. You can put it in a salty dish, which you may not find surprising, but you can also put it in a sweet dish. To create a versatile sauce with turmeric, sauté the turmeric in olive oil or ghee (clarified butter), then put it on your food. You can add turmeric to any of your foods. The serving size is ¼ tsp. per meal. Note that some of turmeric’s beneficial nutrients are water-soluble and some are fat-soluble. By sautéing with ghee or olive oil, you release the fat-soluble chemicals. By mixing with food and cooking, you release the water-soluble chemicals. It’s best to do both. 1. Mix the spices together well. 2. Use this mixture when cooking your lentils, vegetables, etc. A recommended serving size is ½ to 1 tsp. per person. Enjoy this curry with lunch and dinner. 3. Store the spice mixture in an airtight container in a cool place away from direct sunlight. 1. Heat up a little oil or ghee on medium to medium-high heat. 2. Add the spice mixture and sauté briefly. 3. Add the vegetables and stir them into the spice mixture. 4. Add water if necessary, add salt, and continue cooking until done. This method maximizes the healthful effects of the spices and also makes the veggies taste so good you’ll actually want to eat them! Add ¼ tsp. turmeric to one cup of milk and boil it. Keep an eye on it so it doesn’t boil over. Let it cool a bit, then sip it slowly. 2. Heat one teaspoon of the spice mixture in one tablespoon of ghee, using medium to medium-high heat, until the mixture releases an aroma. Remove from the heat immediately, so it won’t burn. If you take this combination of spices regularly with each main meal of the day, you’ll boost your immune system and enhance your digestion. All information and programs are the property of Integrated Health Programs, LLC unless otherwise noted.